You’d be hard pressed to find someone in the pro recording world who hasn’t used, or at least heard of, Native Instruments’ plug-ins. Now in its tenth version, NI’s Komplete Ultimate package offers a ridiculous quantity of plug-ins covering just about everything you can think of from virtual instrument recreations to new designs and effects. 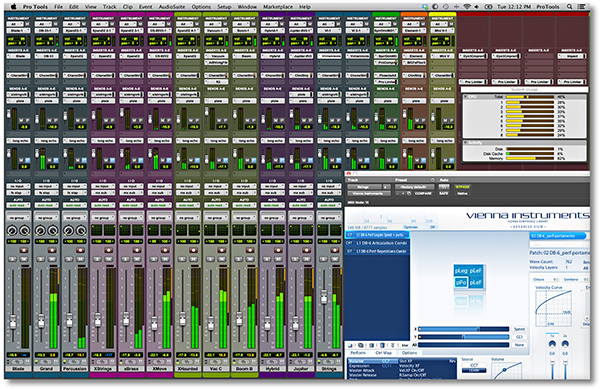 NI’s Kontakt Player (which hosts the virtual instruments) is routinely used as a wrapper for third-party plug-ins, too. Ni’s software truly is just about everywhere. Despite the widespread use of NI’s software, it took until 2015 for the company to introduce their S-series keyboards—MIDI controllers designed to be fully integrated with NI software. And the wait was worth it, as these are pro-quality instruments compared to the hundreds of cheap controllers that have flooded the market in recent years. With automatic mapping of virtual instrument controls, there’s no need to mouse your way around with MIDI “learn” commands to program a dumb controller. Perhaps in some ways even more intriguing than the hardware itself is NI’s new version of Kontrol software. Version 1.5 introduces NKS, the Native Kontrol Standard. This allows VST and Kontakt instrument designers to integrate their plug-ins with Komplete Kontrol, and gives those software developers full hardware integration. 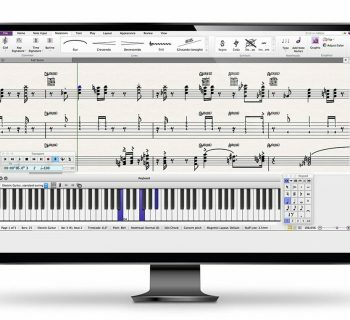 To our great surprise (and thanks), Arturia has updated their entire V Collection to integrate with NKS, impressive given that they design their own series of controllers. This kind of open collaboration and cooperation hasn’t been seen since Dave Smith and Ikutaro Kakehashi collaborated on a little technical specification thing called MIDI! While we may wish for more features here and there, what Native Instrument provides in the Komplete Kontrol S49 (and virtually identical S61) is top quality stuff—from the solid build to the great keyboard to the luxurious interface to the capable host software. This is a professional controller for the virtual instrument crowd, and we'd be happy to put it to use in our studios. The S-series controllers come in 25-, 49-, 61-, and most recently, weighted 88-key versions. We received the 49-key version, which weighs just over twelve pounds; heavier than what you would expect. We got (kind of) a Korg M1 vibe about the controller: It has an understated elegance with a simple control panel emanating from a black casing. Perhaps it was designed this way to make the key lights more visible. More details on this later, but each key has a light at its top, and the colors can be used to help show you information: where splits are, which note in the drum kit is the snare, etc. On the left side of the control panel are the transport buttons and the performance buttons for a hardware-based arpeggiator and scale choice (which also includes parameters via software to use single notes to trigger full chords). Below this are the octave transpose buttons, and below this are two are two touch strips for pitch and modulation, whose values are displayed as a bar of light, similar to Nord’s drawbar LEDs on their keyboards. These controls are in lieu of a traditional joystick or pitch bend wheel. In the middle of the panel are eight rotary knobs, and below each of these knobs is an LCD panel to tell you CC numbers, parameter values, and parameter names. No more guessing if a knob controls a filter cutoff, volume of a layer, or the low frequency eq! On the right of the panel are navigation buttons and rotary knob, which serve as your browser control to pull up instrument plug-ins and presets from your library. If you have a supported host (Ableton Live, Cubase, Nuendo, Logic, but sadly, not Pro Tools), these buttons can also be used to select tracks in your DAW. The Fatar-supplied keyboard had a nice, sturdy feel to it, and each key has a colored light at the top that gets brighter when you press the key down. Using the Kontrol software, you can set up chords, scales, and arpeggiations, and the lights will help guide you. While many of us probably think that the dynamic illumination of a scale while playing is something of a gimmick, it makes for an excellent learning tool. As the lights can be used to demarcate splits and layers, though, pros will have plenty of reason to make use of the lights. They are far prettier than the little chunks of masking tape we’ve applied to our controllers in the past. Finally, ports include USB, AC adaptor for a wall-wart power supply (no bus power, unfortunately, nor internal power supply), MIDI In/Out, and sustain and controller jacks. While you can certainly use the Kontrol series as a generic MIDI controller, its use with the Kontrol software is what makes it fully featured. The Kontrol software not only lets you browse across all Komplete instruments and select your presets, but parameters are automatically mapped and are displayed on the LED screens below the knobs. The one surprising feature omission: an ability to easily transmit program change and bank select messages to outboard MIDI equipment (more on that in Usability). Even better, version 1.5 introduces NKS, the Native Kontrol Standard. This allows other manufacturers to also have their plug-ins appear in the software browser and function as if they were Komplete plug-ins, too. The list of vendors supporting NKS is growing, and currently includes Arturia, Heavyocity, Orange Tree Samples, Output, ProjectSAM, Softube, Sonic Faction, Sonokinetic, SoundIron, Spitfire Audio, U-He, Waldorf. and XILS-lab. Let’s start with the keyboard itself. Despite being the 49-key model, this was surprisingly heavy for its size. It felt sturdy, with quality components all around. We liked the keyboard itself, as it had good synth action and enough meatiness to it to not feel fragile or cheap (unlike some other highly functional products with alarmingly thin keys). Despite the quality build and beautiful interface features, the Kontrol S-series is a bit unimpressive as far as a generic MIDI controller goes—you can get more knobs and sliders for less money elsewhere. The biggest appeal of this keyboard really come from the Kontrol software, particularly the recent 1.5 update that introduces NKS. Once we performed a firmware update (we received our S49 controller with Komplete 10 Ultimate long before Kontrol version 1.5 was released), we launched the Kontrol software. Not surprisingly, it searched our system for whatever NI plug-ins we had—which in our case was quite a few. We had previously purchased Arturia’s V Collection and were eager to try that out, too, but we discovered that an update was required for that software to appear within the NKS system. Sigh. Download more. While the V Collections was downloading in the background, we tried out the Kontrol software for the NI instruments we already had. Pressing the Browse button on the controller brought up all the Komplete plug-ins we had, as well as those that used Kontakt for sample playback. Organized in categories (i.e., drums and percussion, sampled instruments, synthesizers, etc. ), a small graphical picture of each plug-in (Alicia’s keys, Absynth, and so on) was shown on the left, and on the right were further options for accessing collections of presets. Turing the knob changed which plug-in was to be selected, and the arrows navigated among the other preset choices. We could use the Enter button to make our selection, or just push in the knob (our preference). Once this was done, the plug-in window appeared as it normally would inside our DAW of choice, Pro Tools 11. Once fully loaded, the system comes to life. The eight central knobs automatically get assigned parameters, labeled underneath on the LCD displays. And no worries if eight isn’t enough, since you can scroll through sixteen pages of eight knobs each. The clarity of the display was excellent. Using the browser, we selected Vintage Organs as the plug-in, and then Transistor Continental as the organ, and then House of the Rising Sun as the main preset. The LCD screens filled with the corresponding parameters for each knob: drawbar settings, vibrato, swell, EQ, Reverb, Distortion, Rotation, etc. Any changes we made were indicated by an LED bar on the controller, and these were mirrored on screen in the plug-in. One small gripe is that to alternate between the drawbar screen and the effects and amp screens in the plug-in, you need to still use your mouse. It would be useful to see all of the controls up front. Nevertheless, the tight integration between hardware and software made our libraries come alive. Instead of clicking with a mouse, we now had real-time hardware controls, clearly labeled and at the ready. All those huge libraries of sounds instantly became more useful. Even in our simple organ example, just having real-time control without any need to program or configure the controller was a dream. Now, the other aspect of the Kontrol software is utilized from the left side of keyboard, in the Perform section. Here you can press the Scale and Arp buttons to create and play arpeggiated patterns and scale choices. Interestingly, the transport controls are not automatically recognized as they are in other platforms such as Ableton Live and Cubase: no Pro Tools love here (granted, we have yet to find any controller with built-in support for Pro Tools transport)! Though Komplete Kontrol can run as a plug-in in most DAWs (VST and AU formats), Pro Tools users will require version 11, as that plug-in is 64-bit AAX. As a plug-in, you can have several instances of Komplete Kontrol, which you can leap across by using the Instance button on the controller. So… after all this typing, our Arturia V collection is finally downloaded and updated. And while we were at it, we downloaded an update for Nave (an excellent plug-in from Waldorf) as well. We re-launched our Kontrol software, and behold! Our entire V Collection and Nave were not only recognized, but also enjoyed the same automatic parameter assignment as the Komplete plug-ins! This was very cool indeed, and actually made using some of these plug-ins more fun, as we now had instant access to real-time hardware controls… all nicely labeled! Given the wealth of choices we had, there was one omission the software needs to address: a favorites list! It would be great if there was a dedicated button that pulled up your favorite sounds chosen from the thousands of choices you had. This would be very useful in a live setting, where the touch of a button pulls up the sounds for the next song, etc. Hopefully we’ll see this in a future update. Perhaps we’re being a little greedy, but a few more buttons/knobs/sliders would have been great too. Given the great organ and drum plug-ins that Native Instruments makes, it’s a little surprising that even a few drum pads and sliders weren’t included, but then that would certainly push the cost a little bit higher. Pro version, perhaps? 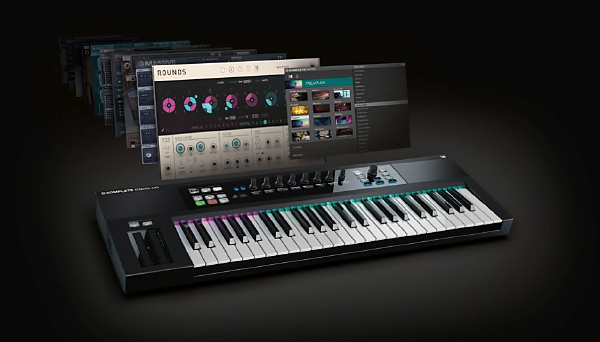 The Native-Instruments website touts “Advanced MIDI Capabilities” in the controller, particularly “Send MIDI to hardware synths and access software instruments and external gear from one controller… You can even use the keyboard in standalone mode to control your favorite hardware – in the studio or on stage.” Don’t get too excited, as the keyboard isn’t quite ready to integrate with your external hardware. We were excited to put those claims to the test, but found the results to be an incomplete solution. Besides controlling soft-synths, the Kontrol-S can function as a MIDI controller for hardware. To get the most out of the Kontrol-S, the Controller Editor software that is included enables you to create your own templates. We could create split points and assign the eight rotary knobs to the MIDI CCs of our choice. Even better, this allowed us to customize the names underneath each knob. Pressing the Shift and Instance buttons toggles between being a MIDI controller and working under the NKS system. In use, this worked well. For example, when creating splits, a graphic representation of the keyboard made it easy to create split points with a simple mouse click. Even better, each part of the keyboard would get assigned different colored lights to show where the split point(s) were. Yes, you get to pick the colors as you desire. Creating templates and changing assignments was very easy with the Controller Editor, and NI should be commended for its simple but powerful design. However, the Editor provided no meaningful way to save and transmit program change messages and bank select messages to other MIDI keyboards or sound modules, making its use with our hardware sound modules totally impractical in a live context, though the realtime controls worked well in the studio. We connected the Kontrol-S to our trusty Roland XV-3080 sound module with a standard MIDI cable. We could easily trigger/play sounds from the module, and the default template was already loaded with continuous controller values CC14 through CC21 assigned to the rotary controllers—awesome! We were able to change the rotary assignments easily via the Controller Editor, but there was no way to program… well… program changes! Nor could we find information about MSB/LSB bank and program changes in the manual, thus we had to make program selections on the sound module itself. We learned from Native Instruments that we could assign one of the knobs to send program change messages, but that hardly qualifies as a useful solution in our live rig—scrolling for programs isn’t of much value during a concert performance (plus, no bank select). Once Native Instruments adds standard program change and MSB/LSB capabilities in a software update, we’ll be singing its praises everywhere from the studio to the stage. But if you’re holding out for a great controller for your “real” keyboard rig, the Kontrol series isn’t quite there… yet. This is a little misleading, in that technically, this is a MIDI controller, and the Kontrol software utilizes plug-ins you already have. Therefore, by itself, there is no sound! In our case, we used Kontrol with Komplete 10 Ultimate, Arturia V Collection, and Waldorf Nave. How could this not sound great? We’ll review Komplete Ultimate separately, but suffice to say, if you can’t find outstanding sounds in the collection, you probably need a new set of ears. There is plenty of great stuff in the bundled package, and it could very easily supply all of the sounds you ever need from your virtual keyboard rig. The PDF manual is decent, and has useful diagrams to help get you around. There are also some videos on the website to help you be creative as well. Native Instruments Kontrol S49 (MSRP $599) sells for $499, which is a good price considering the quality of the hardware and the outstanding software bundle. You could easily find cheaper controllers with more knobs, buttons, and sliders, but they won’t have nearly as good a keyboard feel. And besides, this package’s goal is to deliver tight integration with Native Instruments plug-ins, which it does very nicely. The new NKS standard has great potential to make this “one controller to rule them all.” With a few more tweaks to the software, we may very well end up with a few of these in our studios.